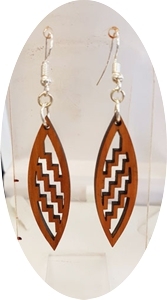 Click on the pictures above to view the full range. 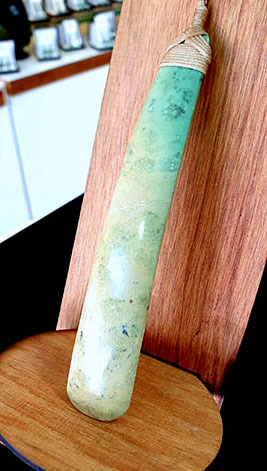 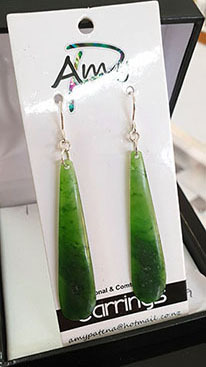 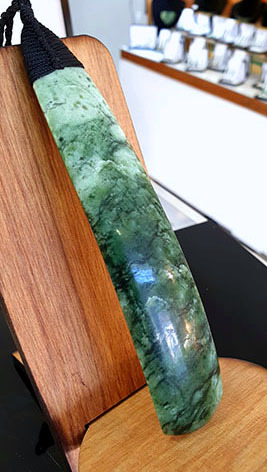 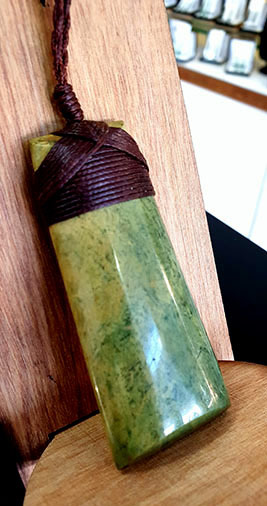 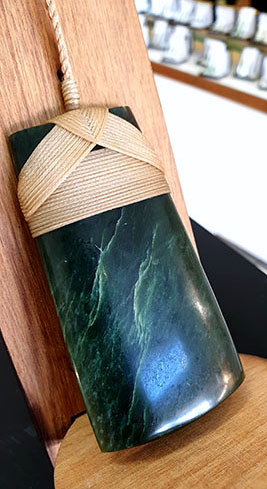 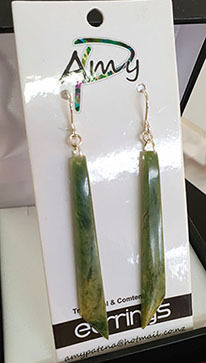 All of our Pounamu is sourced from NZ West coast Pounamu. 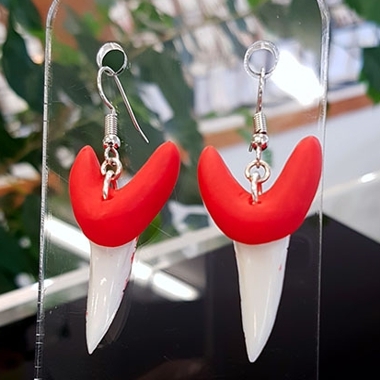 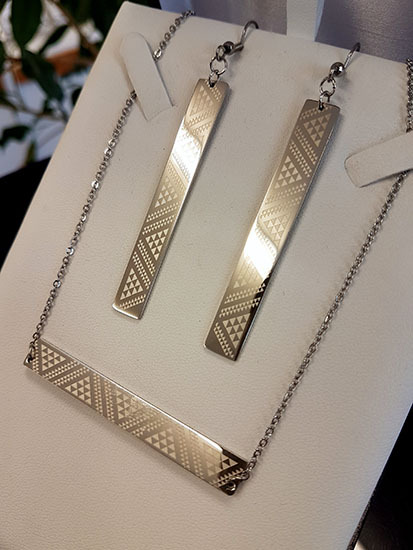 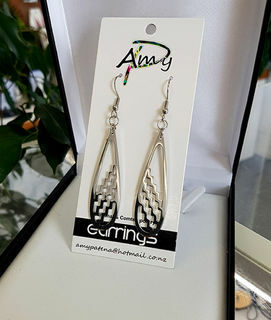 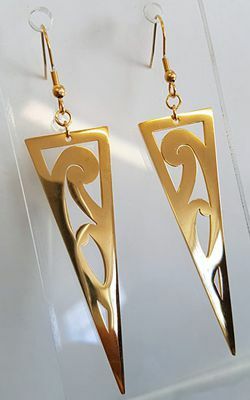 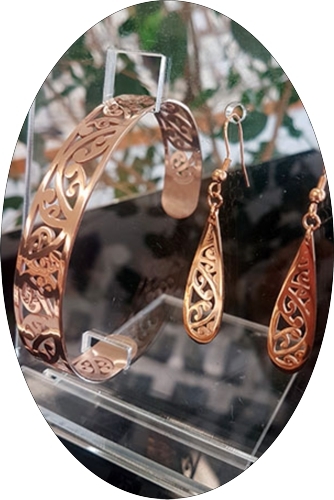 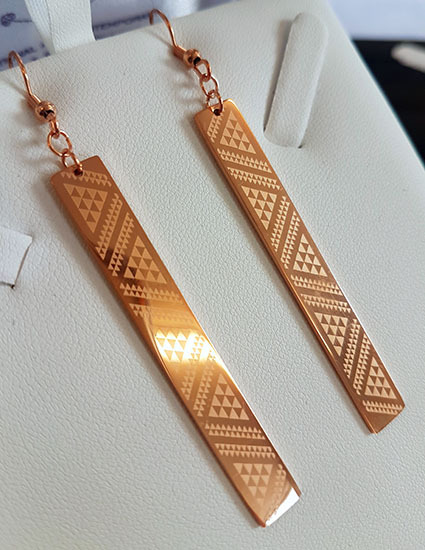 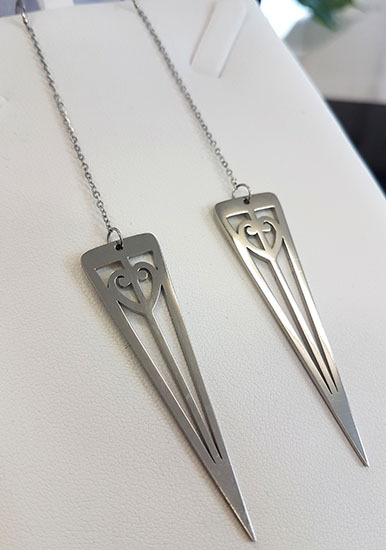 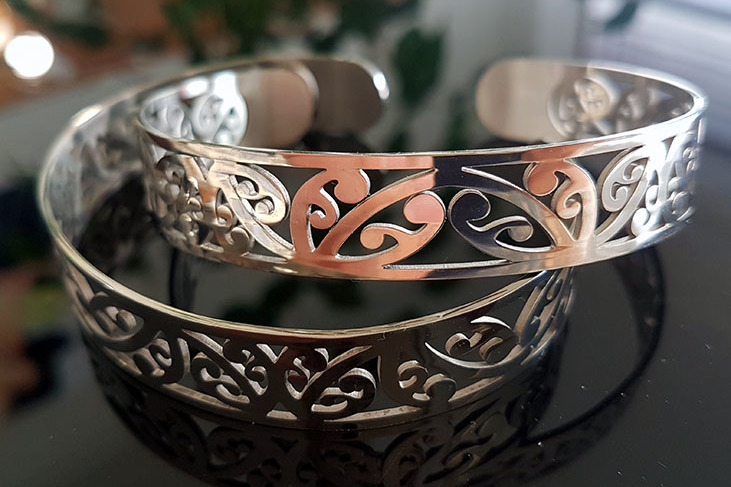 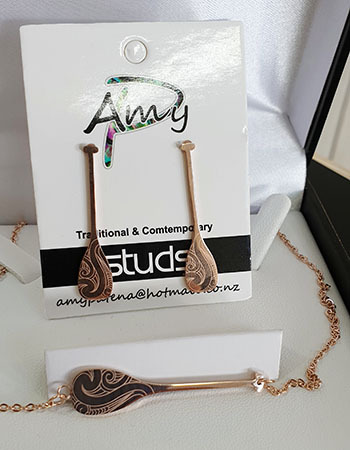 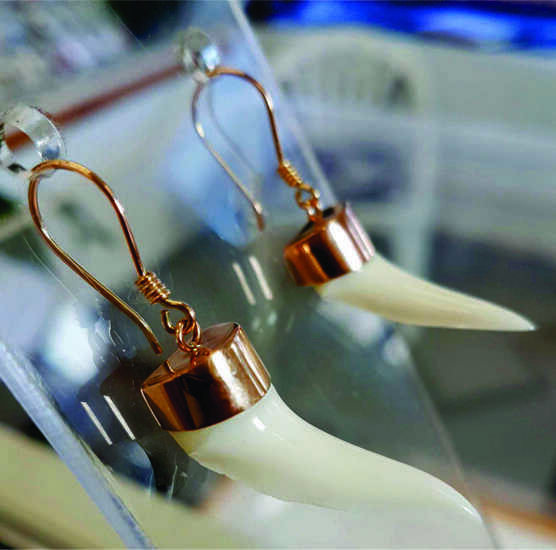 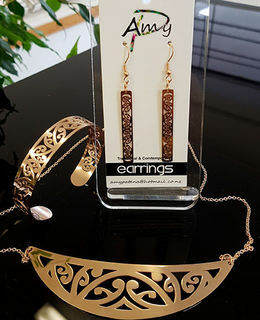 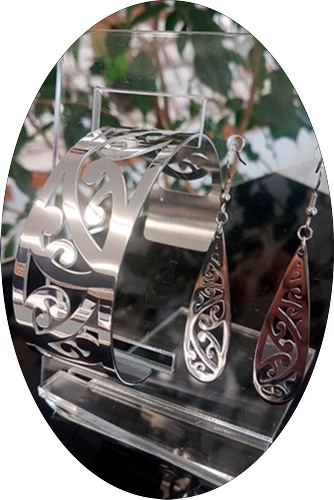 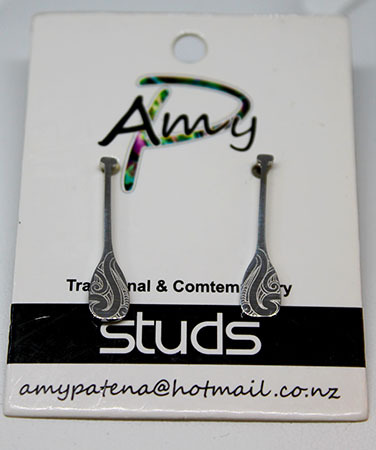 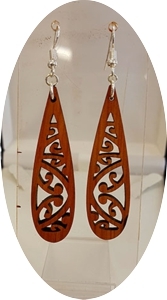 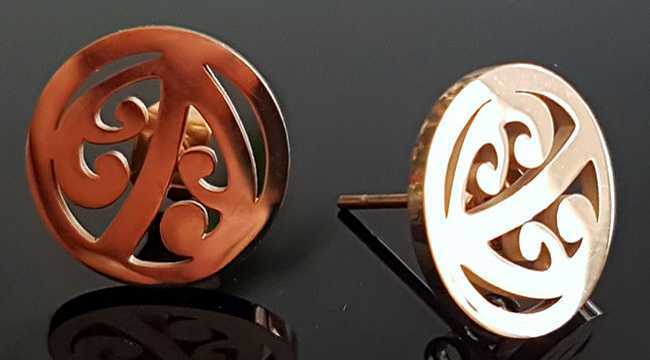 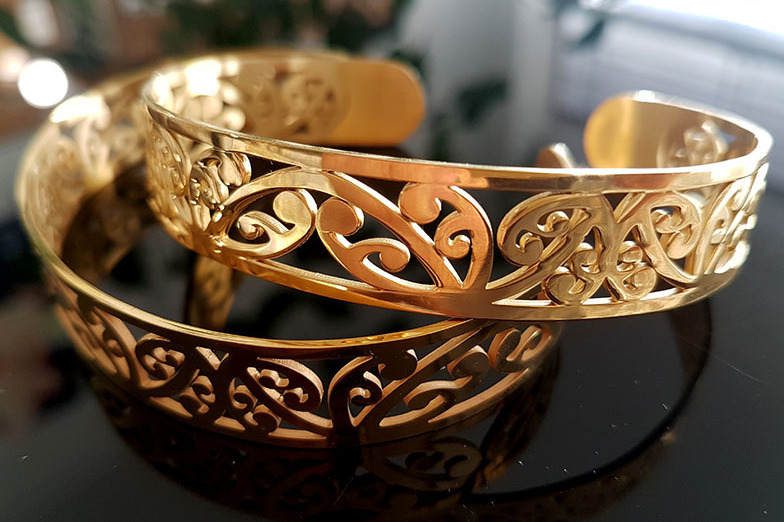 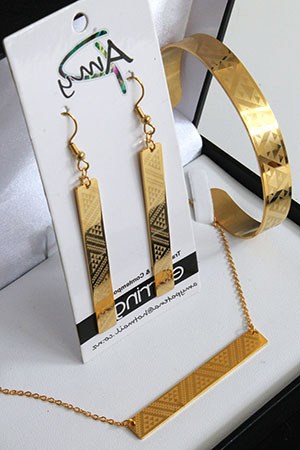 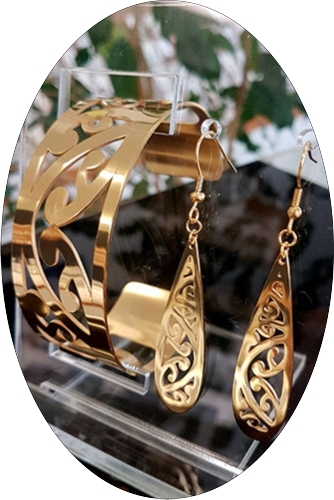 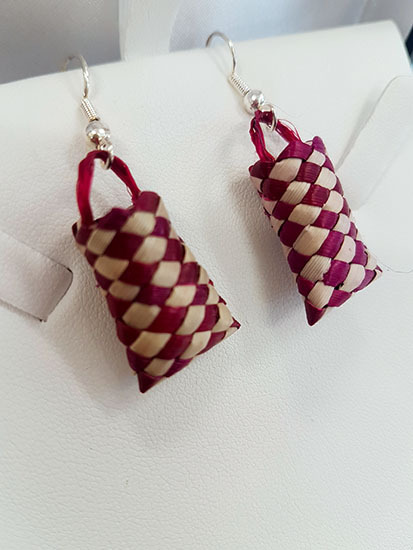 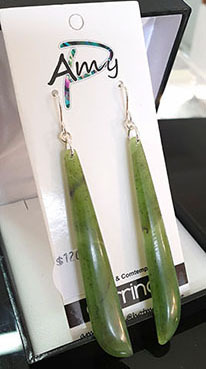 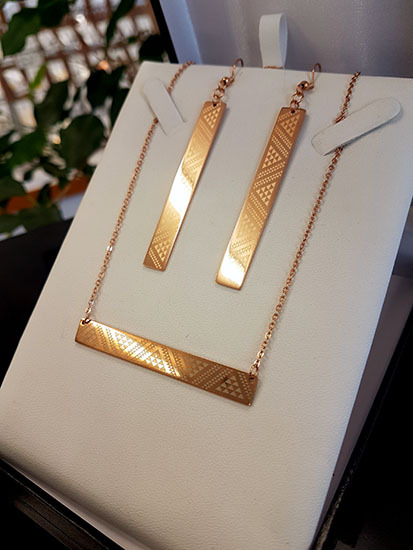 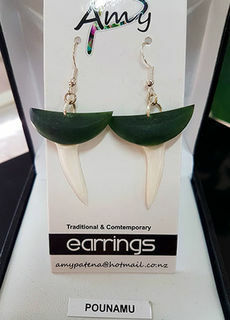 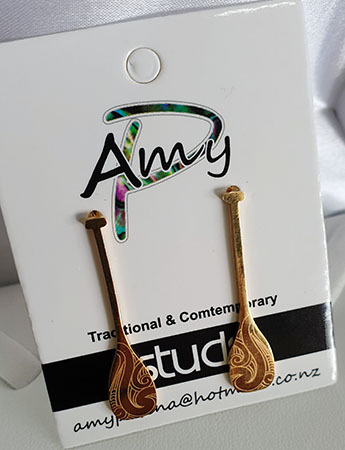 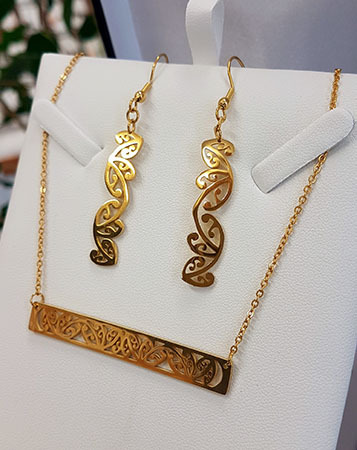 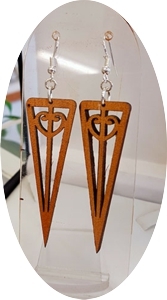 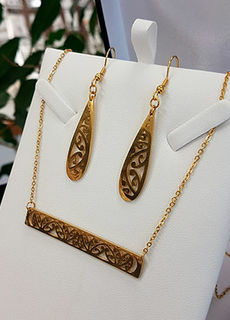 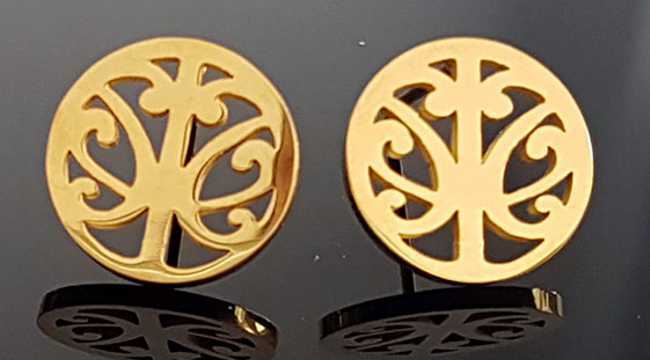 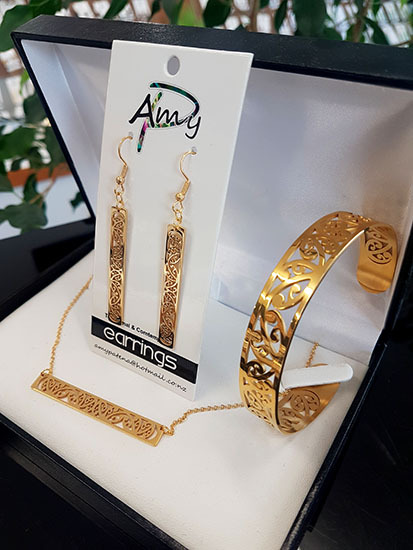 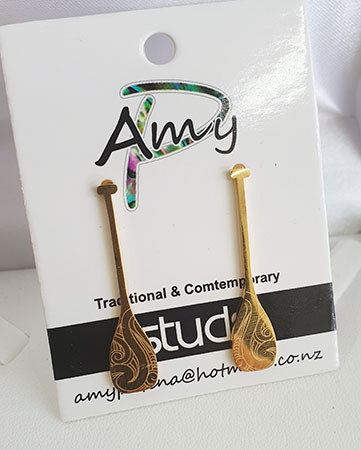 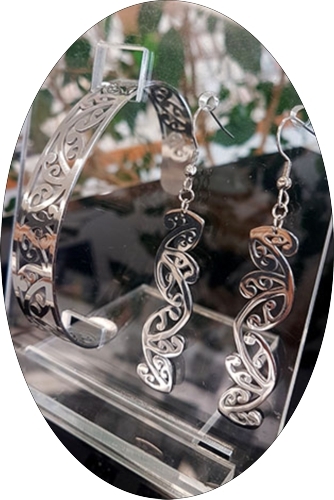 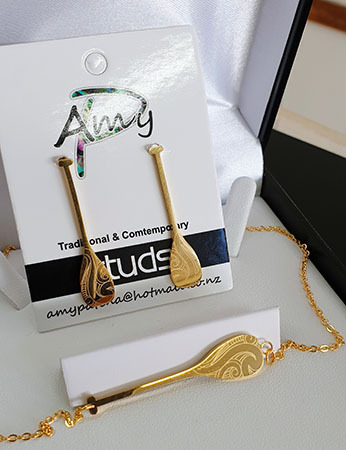 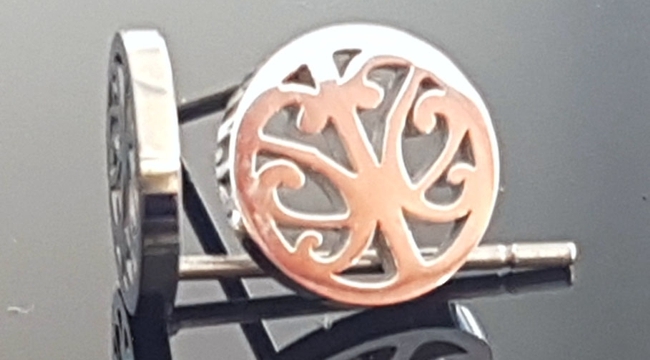 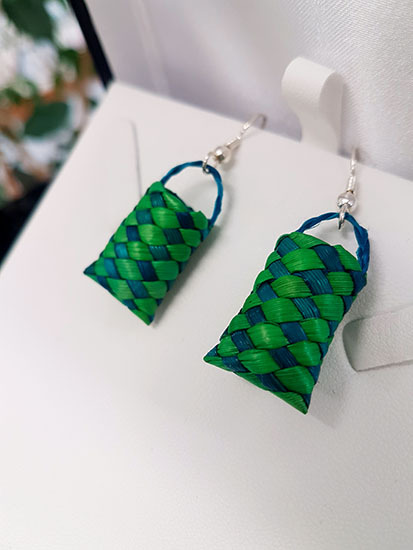 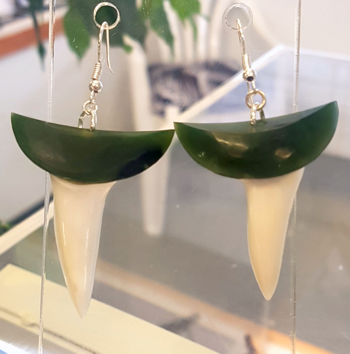 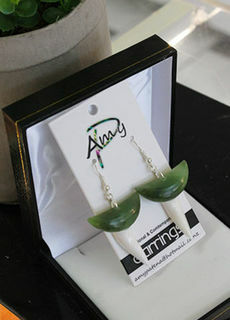 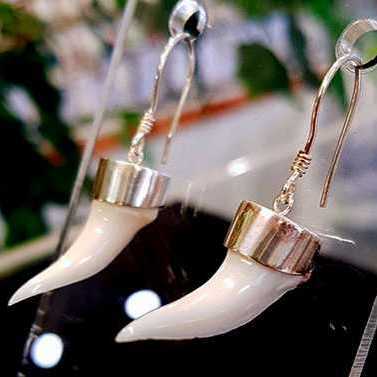 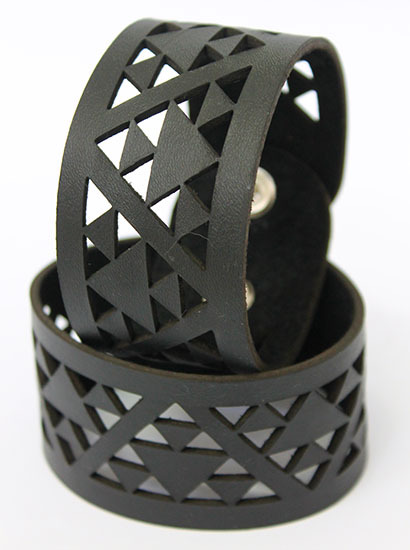 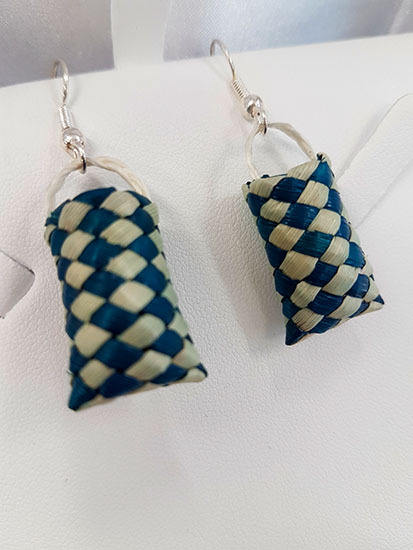 Three piece sets, Kowhaiwhai half-moon pendant, cuff (skinny or large) & 5 choices of matching Kowhaiwhai earrings or studs. 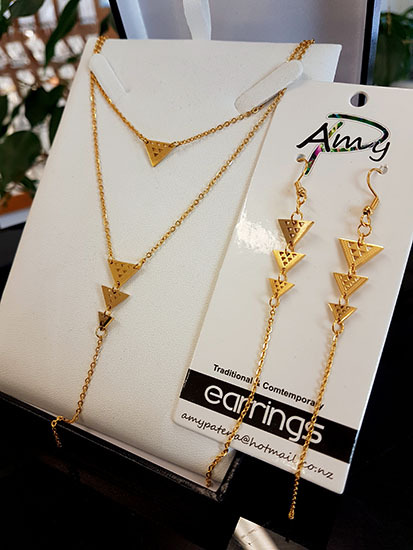 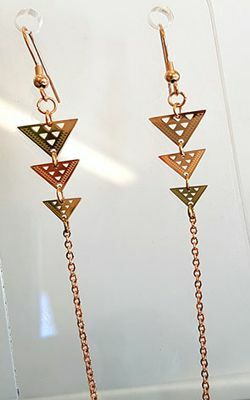 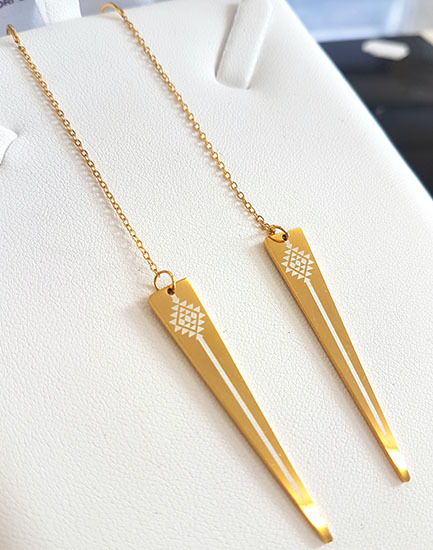 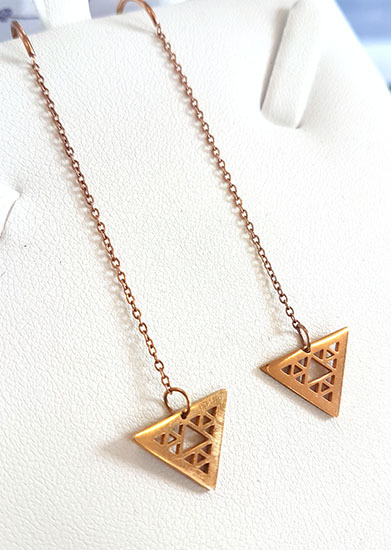 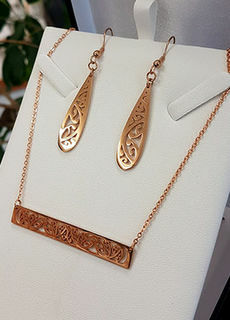 Double Chain Necklaces and matching earring sets. 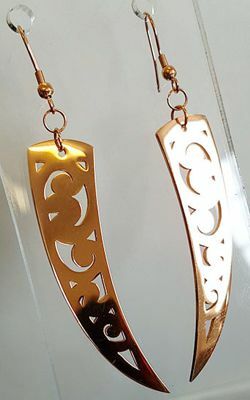 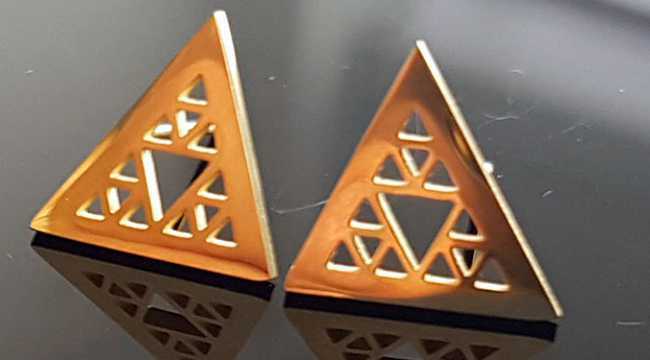 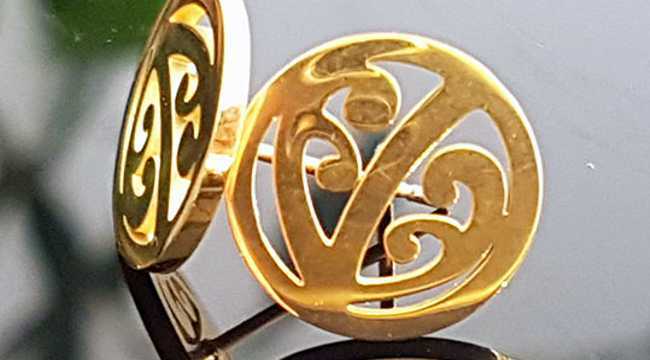 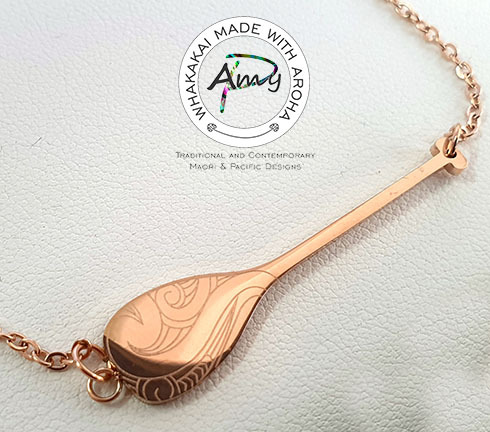 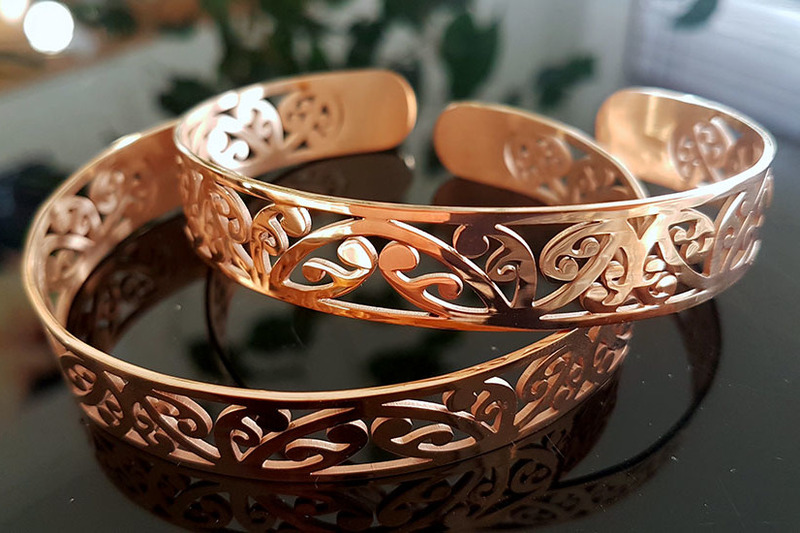 Stainless Steel, vacuum plated either Gold , Silver, or Rose gold. 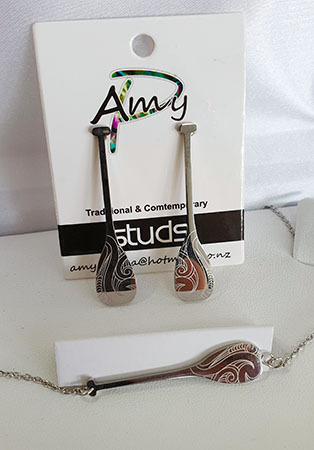 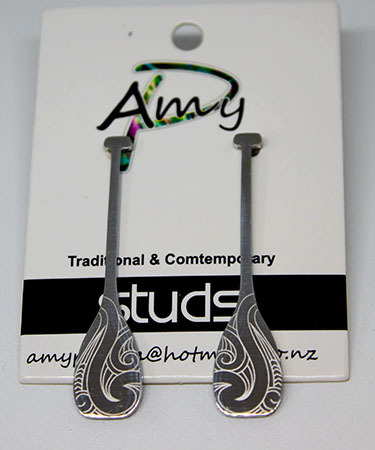 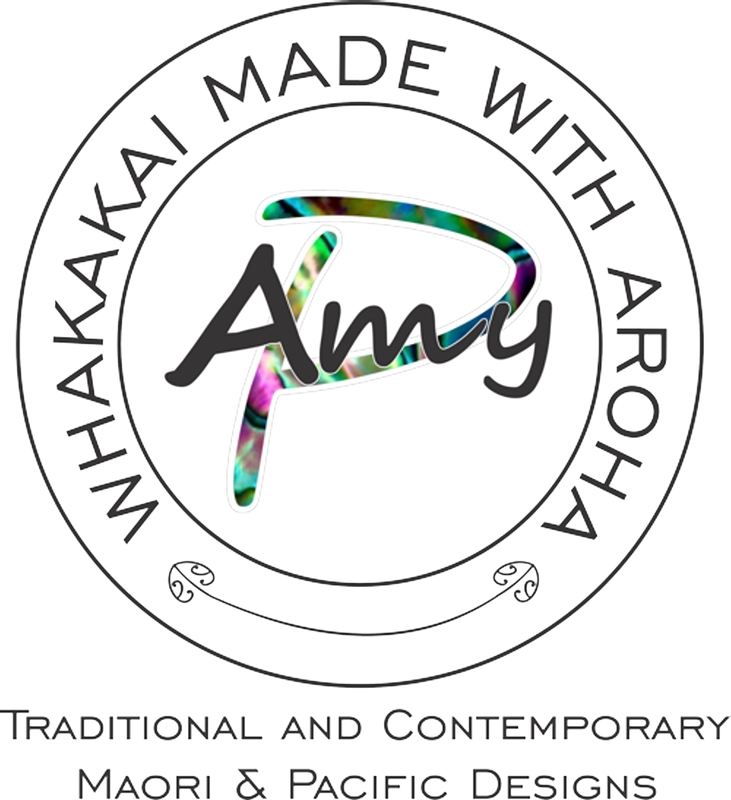 Taniko, niho taniwha and waka paddle designs available in this range. 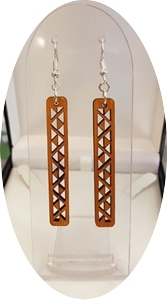 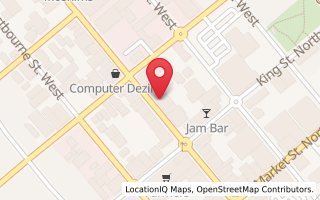 Click the picture to view the full range. 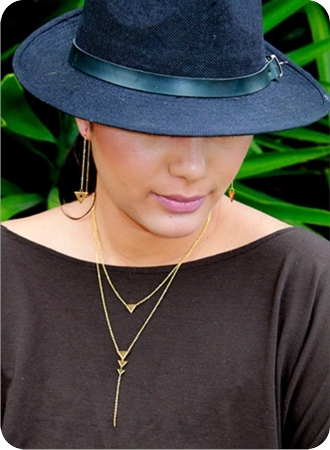 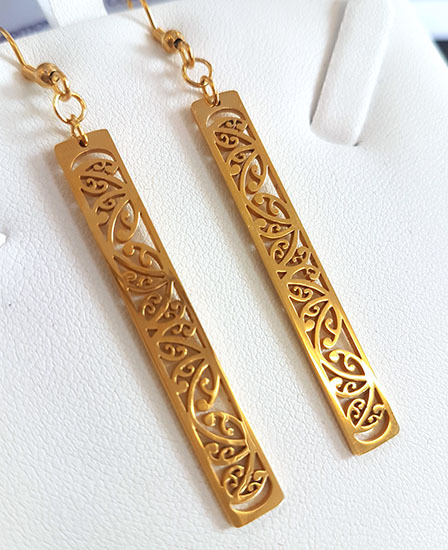 Stainless steel Rose Gold, Black, Gold & Silver options Bar Chain Earring & Pendant sets. 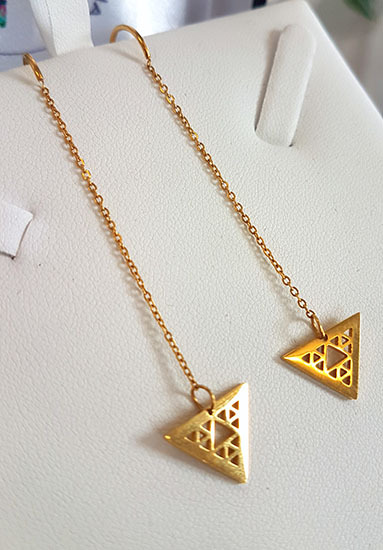 Now available in two chain length sizes. 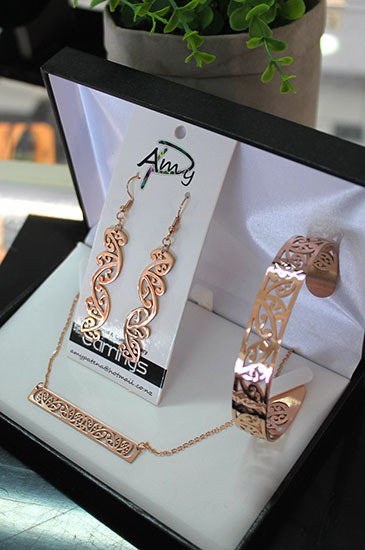 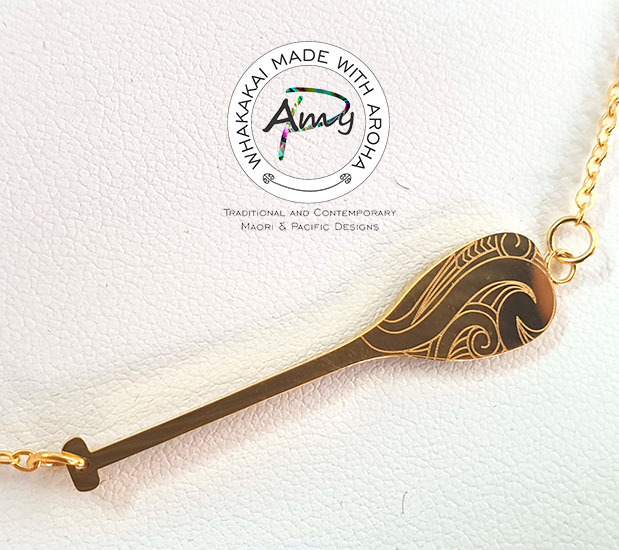 Click the picture to view the full range of Bar Chain & Earring shape & size combination. 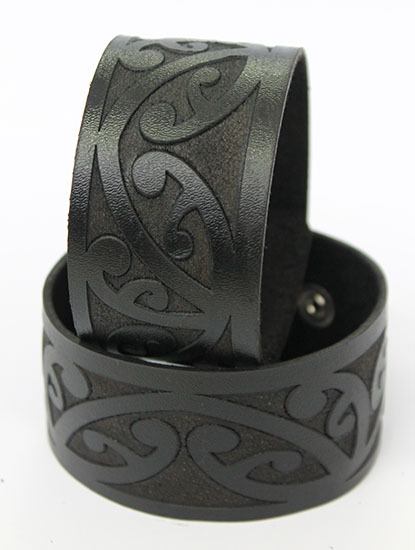 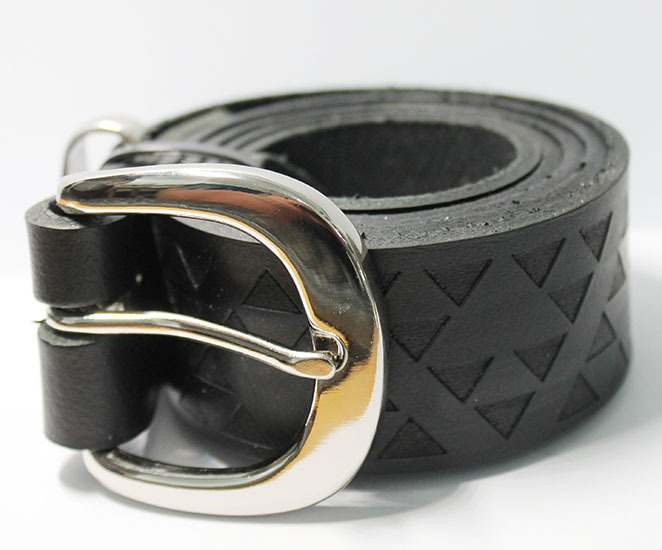 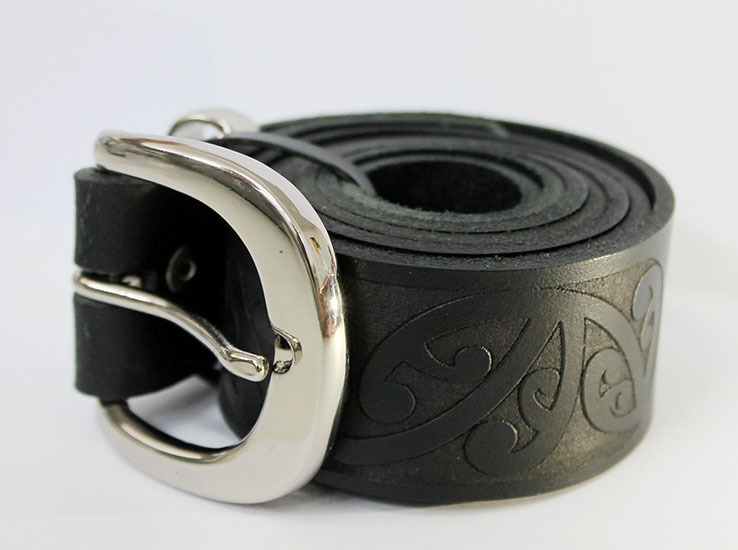 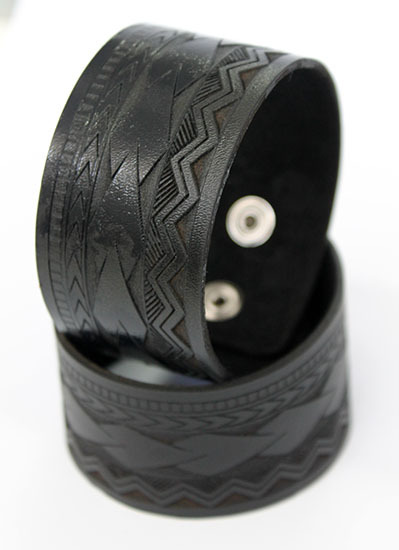 Genuine NZ Leather Belts etched with Kowhaiwhai or Niho Taniwha & Polynesian designs and finished with silver nickel rivet clips. 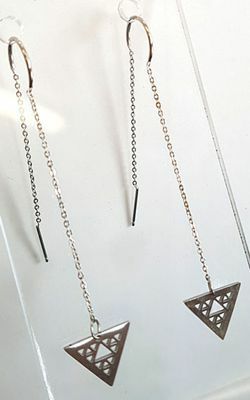 Skinny, Medium, Large.